Fresh off the back of his last EP titled Another World alongside Graham Lloris, Pavlin Petrov returns to solo mode with the impressive, and intriguingly titled, Introvert Time. Hailing from Bulgaria, Pavlin grew up listening to music by Jean Michelle Jarre, Vangleis and Enigma. He started producing in 2005 with a keen interest in ambient before he got more into progressive house. Since then he mixes his tracks with an ambient atmosphere which is essential for progressive house. He likes to experiment with every new track and express that deep and dark feeling dedicated to his unique style. Over the last 5 or 6 years he has released a plethora of music on various labels including Mystic Carousel Records, KP Recordings, Beat Block Records, Suffused Music as well as some excellent EP's on Bonzai Progressive among others. On top of this he is a very much in demand artist on the remix circuit. Always great to have his new material drop in, he never disappoints. 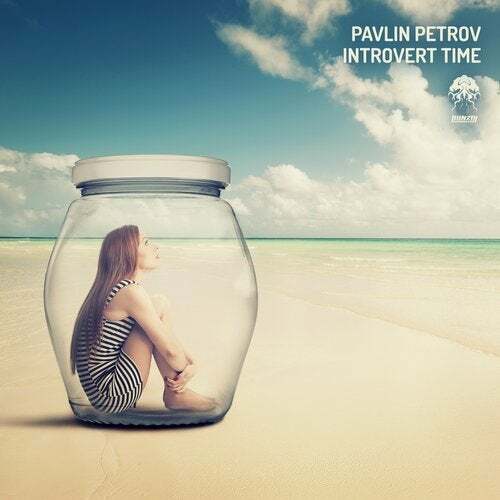 Pavlin takes us on a much deeper journey with Introvert Time. Right from the off we're locked in to the infectious groove which is made up of solid beats, lush basses and seriously chunky synth hits. While the title might suggest some reservations, this track certainly does not hold back as it delivers a bold, brash sound creating a deep progressive vibe. Perfect fodder for the late-night floors no doubt. Music Is Everything centres around a pure, organic groove filled with warm analogue basses and metallic synth riffs. Leading the way, we have a tight drum section which is complimented by minimal percussions. Muddy bass tones take us deep into the sound as those grizzly synths add that special, unique groove. Cool vocals laden with FX add character but the main focus here is taking the listener deeper and deeper, an absolute must have for the darker venues.